One very important aspect of resolving finances is disclosure. It is also the most expensive. I am convinced that more money is spent on finding out what there is than on how to divide it. What can you do to help your solicitor in this and keep the costs down? 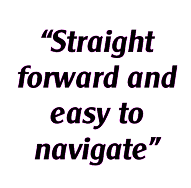 Disclosure usually takes place by completing a Form E (or maybe I should say a ‘dreaded Form E’ as I have yet to meet a client who has said “that was easy and I really enjoyed it”). The reality is very few of us are sufficiently organised in our day to day life to easily lay our hands on the financial minutiae of our affairs, let alone collate the information in an understandable way and then put it all into an unfamiliar and unwieldy form. That is why lawyers love disclosure – it is an absolute essential, which people hate doing. A bit like a tax return. Accountants complain about disorganised clients but the reality is that is where they have the opportunity to make money. The same is true for lawyers. It is not that we create the problem, in fact the opposite is true - we solve the problem by leading you through the disclosure process by the hand - but we do charge you for doing so. So how can you make your lawyer’s work shorther and hence save yourself money? 1. As much as you may hate it you have got to be organised. Gather together your documents and index them in an understandable way. Buy a lever arch file and some dividers and use them. Put your bank/credit card statements for all your accounts in order with the oldest statement first - don’t just lump them together in the way they come out of the envelope otherwise someone will charge you £200 plus per hour to order them for you. If you are asked for valuations get them; request pension CEVs the moment you start the process as this takes ages. Make sure you provide the most recent documents you have. 2. Give the documents to your solicitor in good time before the Form E is due. Remember if you delay, your solicitor will chase you, which will cost you more money. 3. Most solicitors will use a computer program called Quantum (from Class Legal) to prepare your Form E. There is a client version of this which can be downloaded free of charge from the publisher’s website (www.quantumclient.co.uk). Check first whether your solicitor has Quantum Premium and if so download and use the client version to do your draft Form E, which you then email to your solicitor. 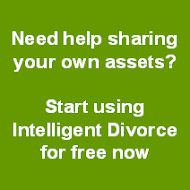 This will help your solicitor, which in turn will keep costs down. 4. Spend time on your Form E and make it as accurate as you can before you give it to your solicitor to refine. Make sure that what they are doing is refining as opposed to starting from scratch. 5. Don’t expect your solicitor to accept everything you have put in Form E. They are not paid to agree with you, but to help you present the information in the best possible light. The above will help to keep the costs down. The suggestions may be time consuming for you but you are getting divorced – it is like having a full time job and I am afraid that is the reality. Once Forms E are exchanged there is a huge sense of relief. Then you will think great that it is done but then what? Well, you have to read your ex-partner’s Form E and accompanying documents and examine then critically. Your solicitor will do likewise and together you will come up with a series of questions highlighting any defects and omissions in your ex-partner’s Form E. A very valuable process - sometimes. But please be realistic. If on exchange of Forms E everything looks about right then query whether it is worth asking for missing sheet 101 from a bank account which has £1.20 in it – is it really worth spending the costs involved on both sides? This additional question stage can be a complete waste of time, so be wary if by and large you think your partner will be honest and there is nothing obviously missing. Also, and most importantly, if you have completed From E properly in the first place the additional stage should not be necessary. Therefore get it right the first time.